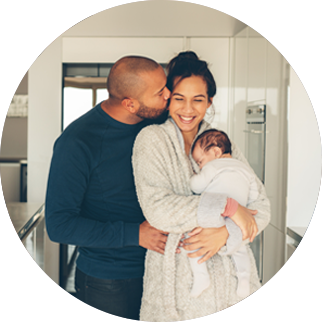 If you are aged 37 or under, with a BMI under 30 and have a good ovarian reserve the first step to starting treatment with us is to come for an Initial Consultation with one of our highly experienced Fertility Nurse Consultants. Our fertility ultrasound scan checks over 30 areas of your fertility. Your Nurse Consultant will look at your follicles & the health of your uterus to determine what treatment plan is right for you. We can then personalise your treatment plan, designed to give you the best possible chance of having a baby. "The medical care is amazing and you could save money. We have a healthy baby and it’s simply been wonderful." "This is our first attempt at IVF and we can genuinely say that using abc ivf has been superb for us and we are now expecting our baby." “I would be more than happy to recommend abc ivf!"